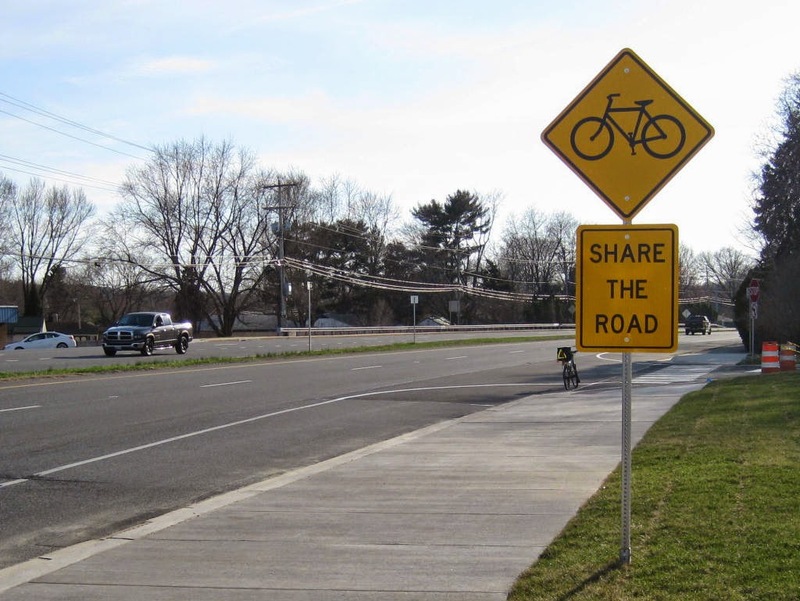 1st State BIKES: An unjust war on "Share The Road"
By Amy Wilburn, Chair, Delaware Bicycle Council -- There is nothing intrinsically wrong with the phrase “share the road”. In fact, when it’s used in an educational setting where other information is provided as opposed to on road signage, it’s not confusing at all. 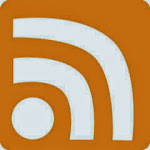 It imparts a positive sentiment about caring and respect which we would do well to propagate. We do after all want motorists and bicyclists to share the road, don’t we? We want to impart the idea that one form of transportation doesn’t dominate the others. It’s an important concept to get across, and one that makes biking viable in other countries. 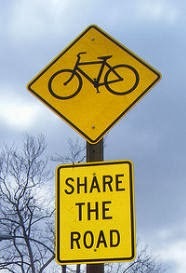 So how has a simple phasing out of the signs turned “share the road” into public enemy number one? Why are some advocates urging DelDOT to spend the time and money to completely eliminate the phrase from all promotional and instructional materials? What transpired with the signage was that some cyclists experienced evidence that the signs were being misunderstood by some motorists (whether due to ignorance or as a willful attempt to target cyclists). These motorists decided that the signs were meant for cyclists and not motorists, and that the signs indicated that cyclists need to move over and to get out of the way of the motorists. No studies were conducted to determine whether and how often the signs were being misinterpreted. We have no quantifiable evidence one way or the other, only anecdotal reports. 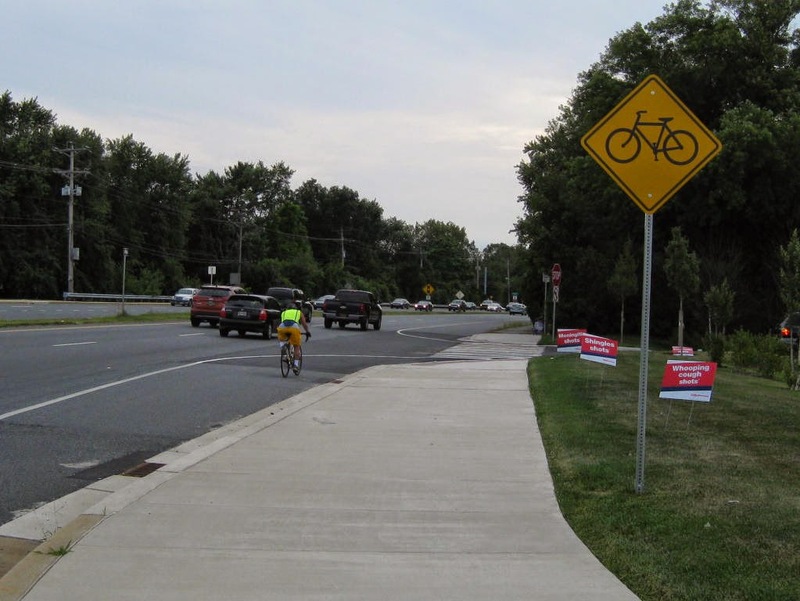 Over the past several years, some Delaware cyclists reported concerns about the signs. Mark Luszcz, Chief Traffic Engineer at DelDOT, became aware of these concerns and that some cyclists held a strong negative opinion of the signs. He conscientiously reached out to the cycling community to seek our input on the matter. Feedback received was not extensive but indicated that cyclists would prefer to retire the signs. 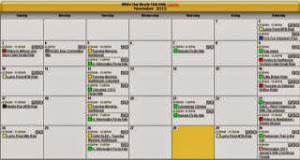 Because the signs could not be justified as a positive and there was evidence that they were being misinterpreted, and because they added to expense and sign clutter, it was decided to discontinue their use. It makes sense to discontinue the use of “share the road” signs, which no matter how well meaning, appear to be misinterpreted by some motorists. Of course, they may have a positive impact on others, but we don’t have evidence of this. The proverbial squeaky wheel gets the grease after all. Cyclists and motorists should not split lanes that are not wide enough to accommodate both vehicles safely. So I agree that it does make more sense to use either a simple bike symbol, or when appropriate, a sign stating “bikes may use full lane”. But in no way did DelDOT endorse a complete elimination of the phrase from our vocabulary. And in no way do we have evidence that all, or even most, members of the cycling community endorse total elimination of the phrase. That was not the question that Mark was asking, and not the question to which cyclists provided a response. In addition, DelDOT decided to stop installing the “share the road” signs and to slowly phase out existing ones. DelDOT did not propose an all out campaign to remove the signs ASAP with the associated cost and effort. And frankly, that makes sense. This is far from the most urgent matter facing cyclists. Time and money would be far better used in other areas. In the end, we have to make every effort to encourage our fellow citizens, whether they are driving motor vehicles, horse-drawn vehicles, or people powered vehicles, to share our roads just as we need to share our communities, and yes, our lives. When we begin to treat each other with respect and to think of each other more as fellow travelers and less as adversaries, we will take a big step towards bringing our transportation crash rates more in line with the substantially lower rates experienced in much of Europe. So here’s a toast to “sharing the road”. A bicycle warning sign with "share the road" is included with a new CVS Drug Store, at the corner of Route 4 and Marrows Road in South Newark. According to the NCC building code, there should have been bike lanes as well. As of August 11 (possibly earlier), the share the road sign was removed. This has been the trend with many other existing signs around the State. The goal should have been a slower phasing out of the sign, not an all out war on the saying. Put simply, we should not be urging DelDOT to spend the time and money to completely eliminate the phrase from all promotional and instructional materials. It is frivolous and a waste of taxpayer dollars. Poster's note: It is ridiculous that Bike Delaware is pushing DelDOT in a campaign to completely eliminate Share the Road. It was originally understood that implementation was going forward with new sign installations and maintenance, not the active removal of existing signs. Put simply, there are much bigger fish to fry. I strongly agree with Amy. DelDOT has heard our concerns over this sign and is in the process of retiring it. To conduct a mass campaign to remove all of them at once is not productive, nor cost effective. With budget cuts vital road projects are being removed from the budget. That's were we as cyclist should be putting our focus at this time. Please plan to attend the WILMAPCO Annual Town Meeting on Sept 3rd in Newark to find out if YOUR road project is on the chopping block. Remember there is no cost for this meeting but you do have to register.